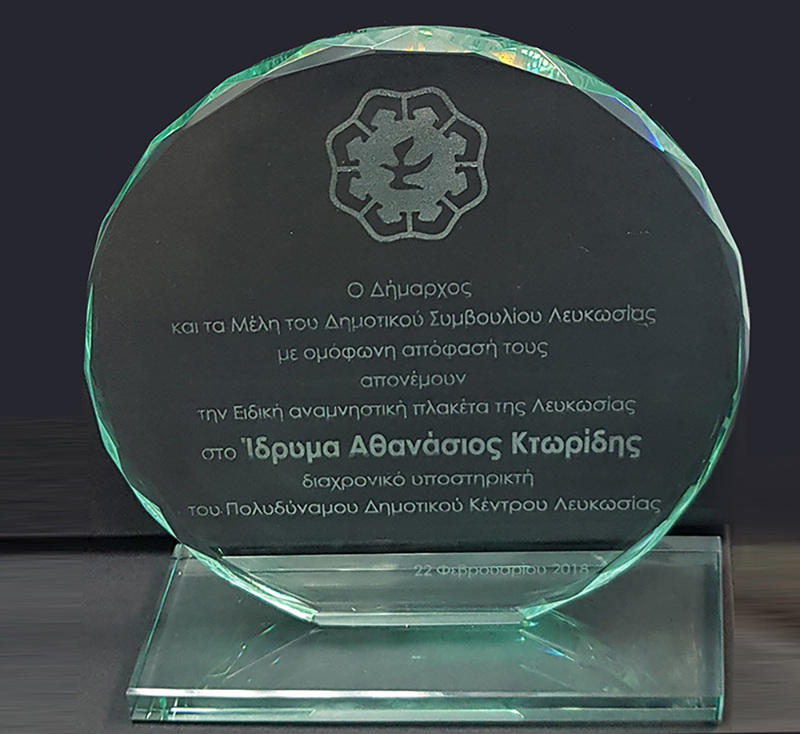 February 22, 2018 – The Mayor and the Council Members of the Nicosia Municipality have awarded the Athanasios Ktorides Foundation, a non-profit philanthropic organisation that supports sports, cultural, education and humanitarian work, with a Special Honorary Award. The unanimous decision by the municipal council, taken on February 22, 2018, recognises “the Foundation’s continued support to the Nicosia Multipurpose Centre, a community centre used for public and educational events. The Athanasios Ktorides Foundation, established in 2008 by entrepreneur and philanthropist Nasos Ktorides, the first Unicef Goodwill Ambassador for Cyprus, has organised and sponsored a wide range of events and community service projects, including aid to needy families and children with special needs, orphans and children’s shelters, preservation of culture and history, sponsorship of environmental and educational programmes at the University of Cyprus, and many other events. The Foundation is also the organiser and primary sponsor of the Nicosia Quantum Marathon.